Prior to seeing Dr. Steve, my mid back was so stiff and sore. Id be hunched over in the morning and had very frequent headaches. Now my back is virtually pain free and the headaches are gone. Dr. Steve has helped relieve not only my headaches, but also has helped my teenage son with his headaches and my teenage daughter with her pain in her hips. Seriously, I was a bit of a skeptic ... but the proof is in the results. Mid back pain has decreased 85-90% and muscle stiffness 100%. Dr. Steve will help you heal naturally. He is knowledgeable in the anatomy, not just the bones but the muscles as well. Dr. Steve relieves pain without drugs. He can put your body in position to heal itself. I had pain in the shoulder for 5 years, low back pain and tingling in my right hands and left foot. After 5 years of constant pain, I have total relief after 5 visits with Dr. Steve. 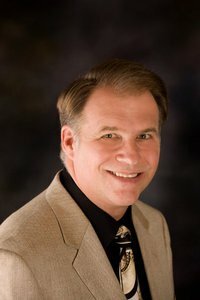 Dr. Steve has done what 4 other chiropractors have not been able to do in 5 years.